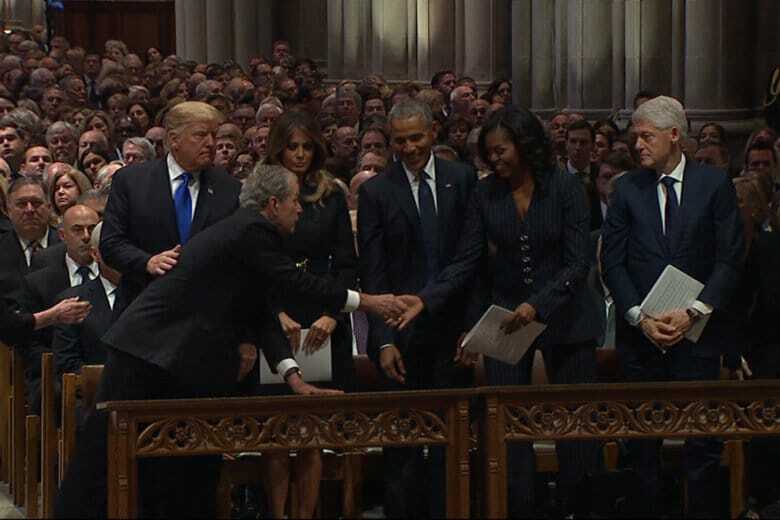 WASHINGTON — Shortly before the state funeral for his father began at Washington National Cathedral, former President George W. Bush appeared to share a special mo-mint with Michelle Obama. The light-hearted gesture harks back to a similar moment the two shared at the funeral for Sen. John McCain in September, when Bush handed Michelle Obama a cough drop. The moment was captured on video and went viral on social media. 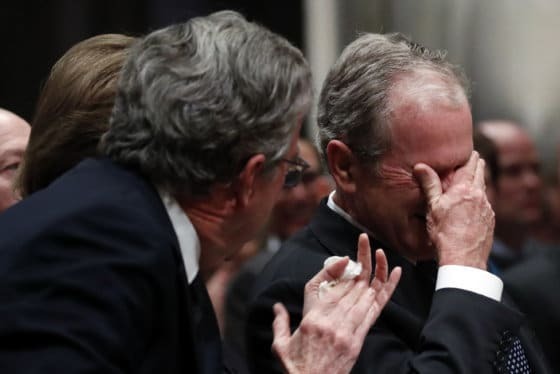 George W. Bush is eulogizing his father at the ceremony at the National Cathedral, alongside former Canadian Prime Minister Brian Mulroney and presidential historian Jon Meacham.